I need to get them little chicken boots for mucking around the yard. August, September, and now into October with warm, dry, sunny days I can count on my fingers. Momma Nature – enough already. 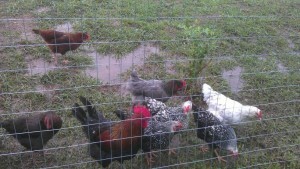 My chickens are tired of wet feet. I think we have more than made up for the early summer drought. Might this mean that we will have a dry winter? In that case, OK, because I would rather have nine inches of rain now than eight feet of snow in January. The chickens have slowed down laying partly because the days are getting shorter, but likely also in protest over this lousy dreary soggy weather. 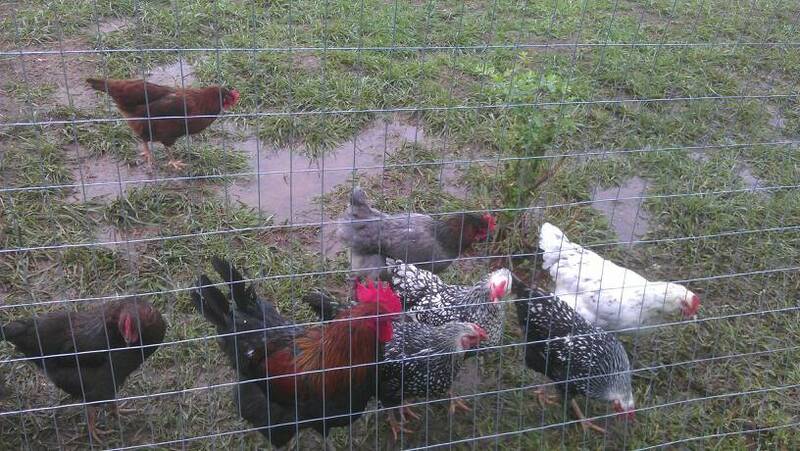 I can only hope that maybe this rain is driving some worms up to the surface and the chickens are getting the occassional treat. Greetings from Little Lucey Farm. Welcome to our little farm. 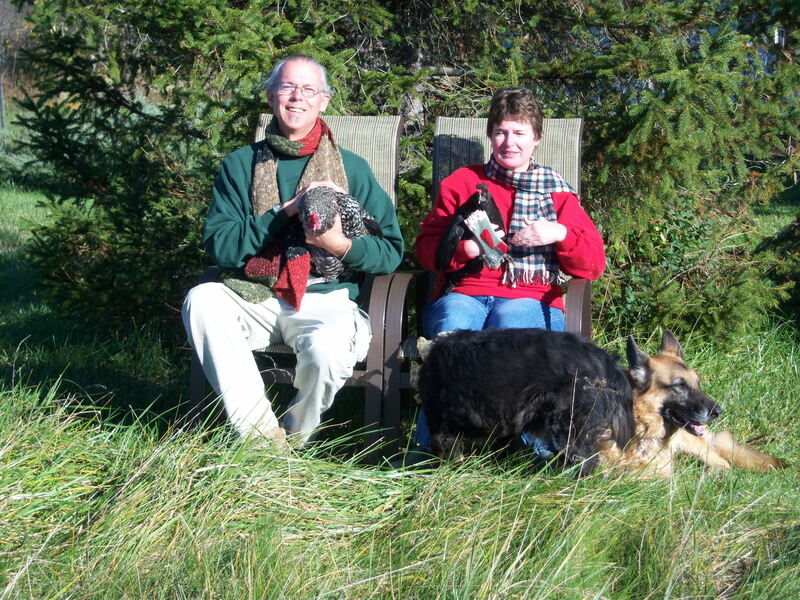 We (Joni and Todd) have been living here since 2007 along with our dogs, Bob and Ellie, but we are just now starting to document life on our three acres. We have a garden and trees and chickens and bees as well as the dogs, a cat and a few seasonal residents in our birdhouses. The chickens are rapidly expanding their numbers and we are raising a few guineas to join them. The honeybees are brand new, but hopefully their numbers will be growing, too. And of course the garden is just beginning to bear the fruits and vegetables of our labor. So stay tuned to this station on the Internet as we share some of the highs and maybe a few lows of life on the Little Lucey Farm.